I feel like I’m watching an episode of the X-files. That’s how much I think this creative team is nailing this mini-series so far! I don’t just hear David Duchovny and Gillian Anderson’s voices when I read this, I believe that this is Mulder and Scully in an episode that I’m reading about instead of watching. There is a great opening scene with the two that is classic. The dialogue is spot on, the reaction of each character, and even the little goofiness that Mulder tended to have in the show. Everything about this screams X-files. I hope fans of the show are picking this up. As far as the 30 Days of Night aspect to this story, well it’s being well-crafted here just like in the other stories Niles has told in this world. Like I’ve said before, 30 Days of Night is more about the world than any one character. This is why it’s working so well with this crossover. Mulder and Scully were the focus of the X-files and they are here as well. The world serves as the backdrop for their story so it all fits together nicely. The pacing of the issue is also very well done. It seemed to move at a brisk pace and had enough surprises to keep it interesting. Mandrake’s art is still not my favorite but he’s doing a good job giving us some really creepy scenes. I will say that the art and the coloring work well to keep the atmosphere dark and gritty. We end with another great cliffhanger as the mysteries continue to pile up. Even though we as the readers know who the bad guys are here, there is still enough mystery to keep us guessing about what’s really going on in this story. This creative team is doing an excellent job so far. I hope they can keep this good momentum going throughout the remainder of the series. It’s even got me wanting to go back and watch some X-files episodes. 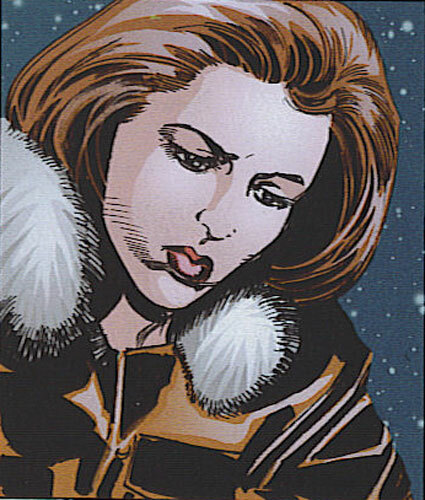 This entry was posted in 2010, Creator Owned, Reviews, X-files/30 Days of Night and tagged 30 Days of Night, adam jones, review, steve niles, tom mandrake, x-files. Bookmark the permalink. .. X-Files + 30Days of Night = another level of horror. I totally agree with your contention that the comic “feels like watching an episode of the show”. This team is totally delivering the goods and I’m loving it too. The only complaint I have is that I don’t have issue #3 yet. The mystery is building but want to “finish the episode” as it were. Folks that pick this story up in TPB format will be in for a treat (kind of like watching Lost on DVD instead of during it’s broadcast season). However, I’m not waiting. This one is too good to be that patient. Great analogy Dixon! I agree, this one is too good to wait for the TPB, but when it does come out those people that do wait will enjoy it for sure. 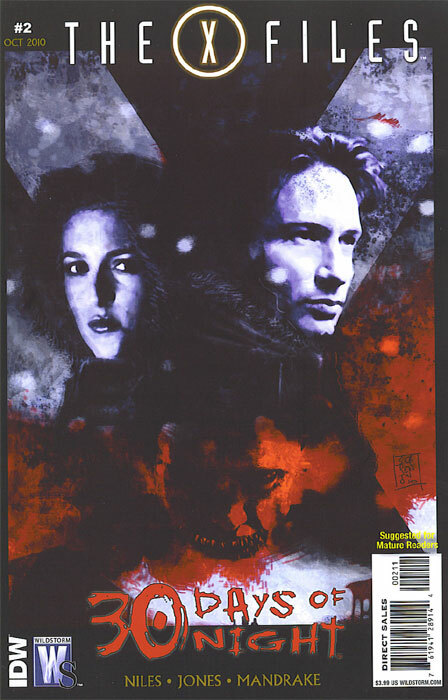 I do however encourage everyone that loves both worlds of the X-files and 30-Days not to wait on this one and enjoy each and every month of what Steve Niles and Adam Jones have to offer.